How far can product testimonials go? The credit card from Usher? 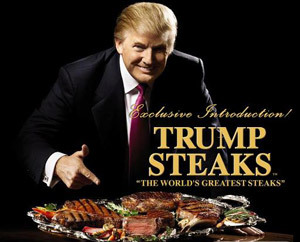 Beef steaks from Donald Trump? Yes, it’s true. Save me. Product managers will try anything these days. This entry was posted in Desire and tagged Mastercard. Bookmark the permalink. ← Buy me buy me. Try me try me. Oops.